For designers of industrial applications needing increased noise immunity and wider operating temperatures, TI also announces the UCC23513, an opto-compatible gate driver with 3A drive strength and 5KVRMS reinforced safety isolation. 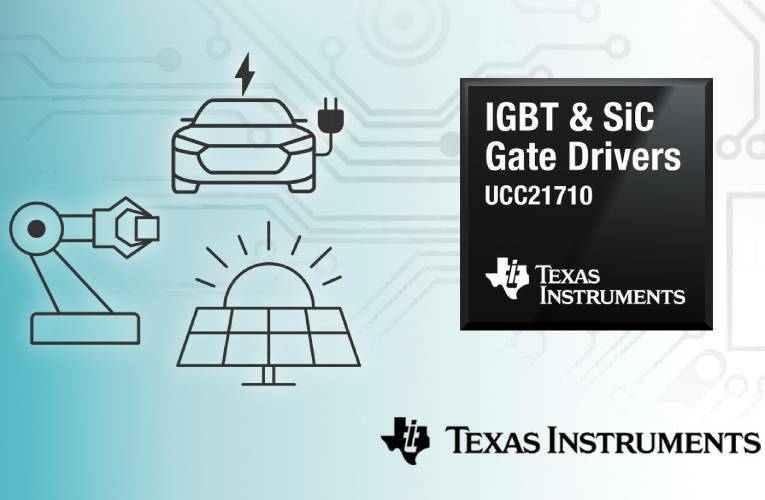 Developed to maximize system performance and reliability in motor drives, solar inverters and power supplies, the new gate driver offers a wide junction temperature range from -40ºC to +150ºC and high CMTI greater than 100 V/ns – enabling designers to achieve levels of performance not available with traditional optocouplers. Designers can accelerate time to market with the UCC23513’s pin-to-pin compatibility with opto isolated gate drivers and ready-to-use design resources.